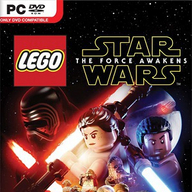 It is yet another edition of famous adventurous action game that combines cult universe of Star Wars with very popular brand of LEGO blocks. This time the story is based on the events that take place in the seventh part of the saga. Interestingly, in the game we can also find many exclusive threads that game developers introduced in order to fill the plot gaps between Return of the Jedi and the Force Awakens.